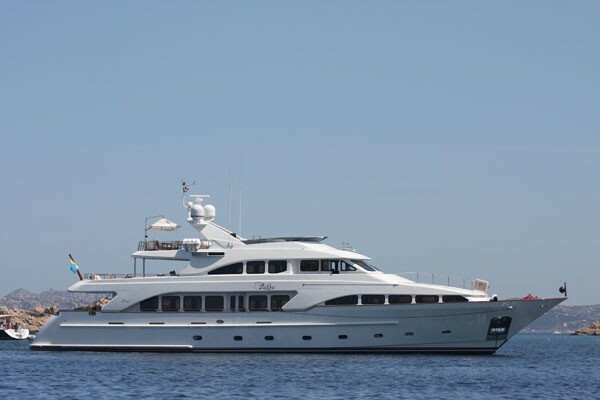 Launched in June 2003 by Benetti and refitted in 2015, the 35.05m (115') Benetti Classic called BRUNELLO (ex - Latiko, Eliza Jean) represents an inviting and spacious yacht. 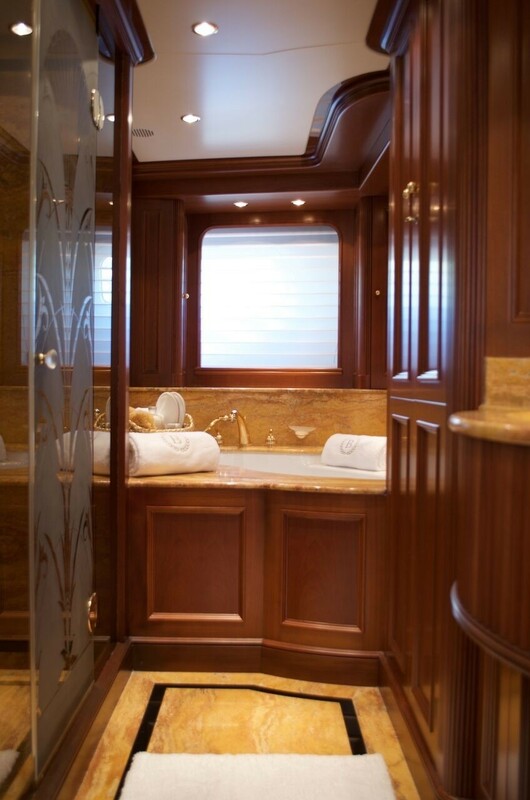 Her interior was designed by François Zuretti and is finished in a sumptuous blend of cherry wood panelling and root wood, complemented by hand-picked marbles. 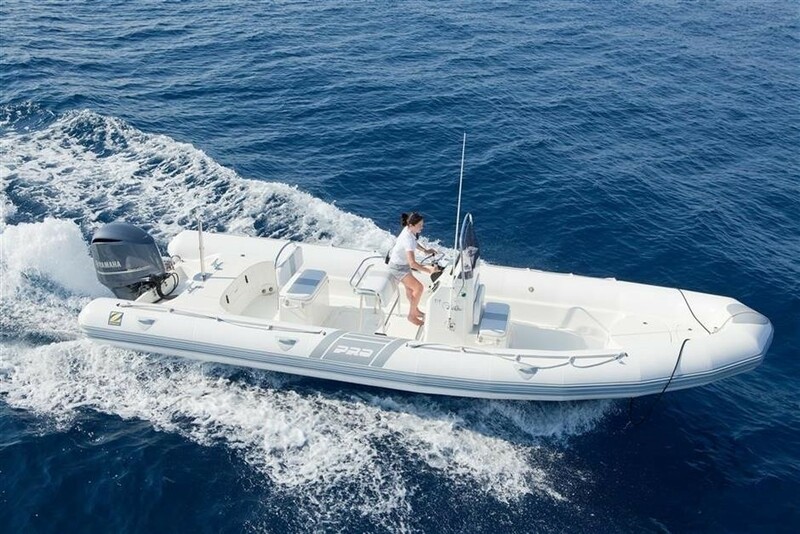 Her displacement hull is constructed from composite and her classic styling in white is the work of naval architect Stefano Righini. 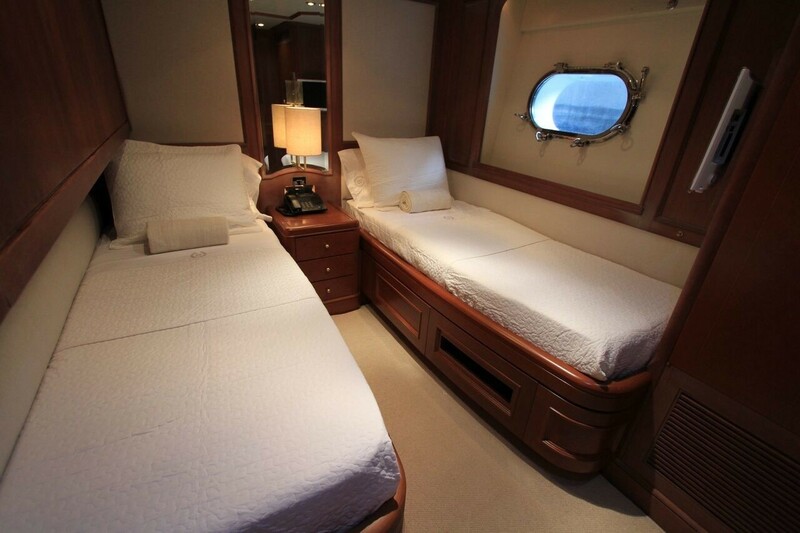 The accommodation sleeps up to nine guests over four large en-suite cabins. 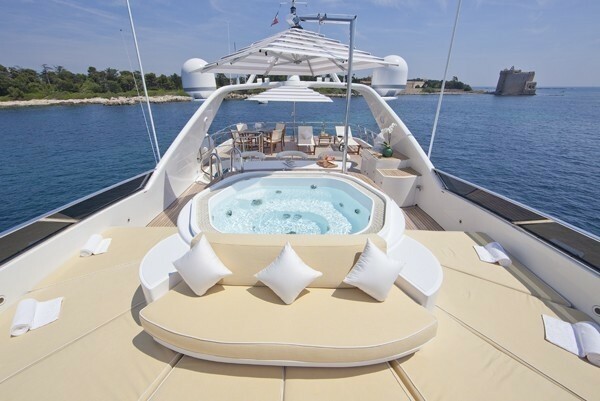 From the lower deck swim platform, guests can access the main deck aft, where a sofa and a raised table are fitted along the stern. 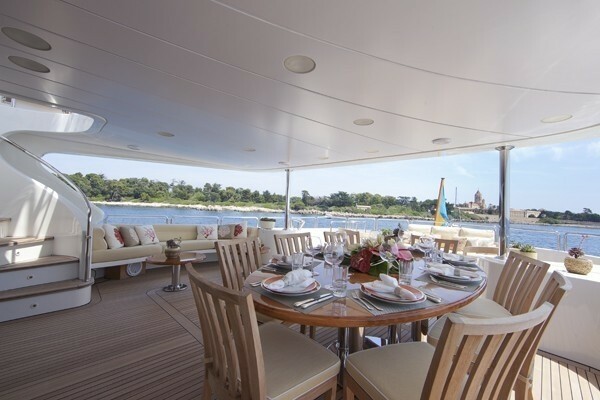 Above, the upper deck aft has a port-side alfresco dining area to seat up to 10 guests, while opposite there is a welcoming settee with drinks tables for after-dinner refreshments. 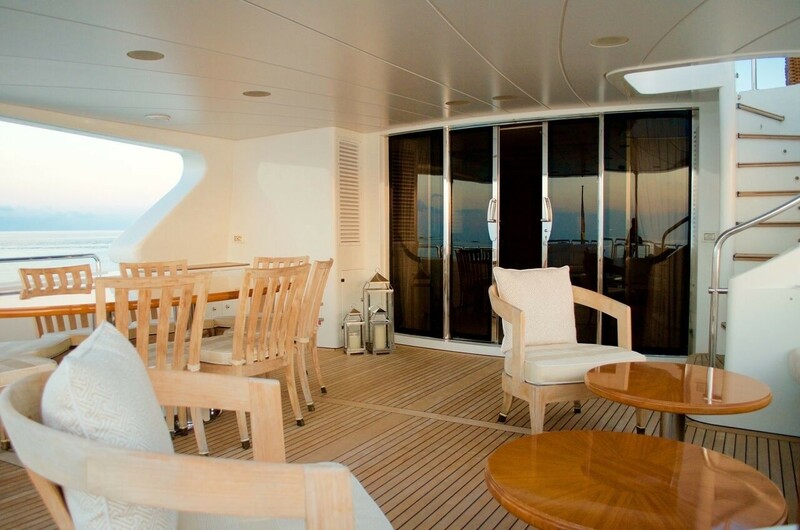 The area around the stern has been left clear for guests to use for observation and exercise such as yoga. 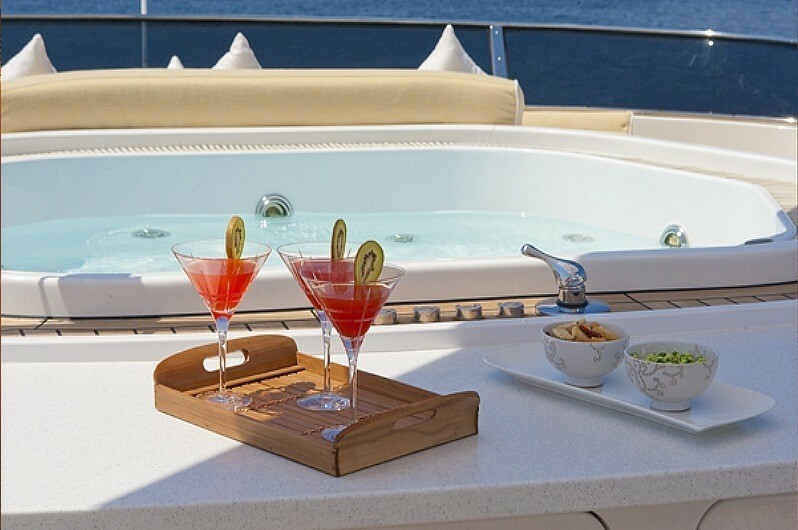 On the sundeck, guests are treated to an array of sun pads with a Jacuzzi placed centre. 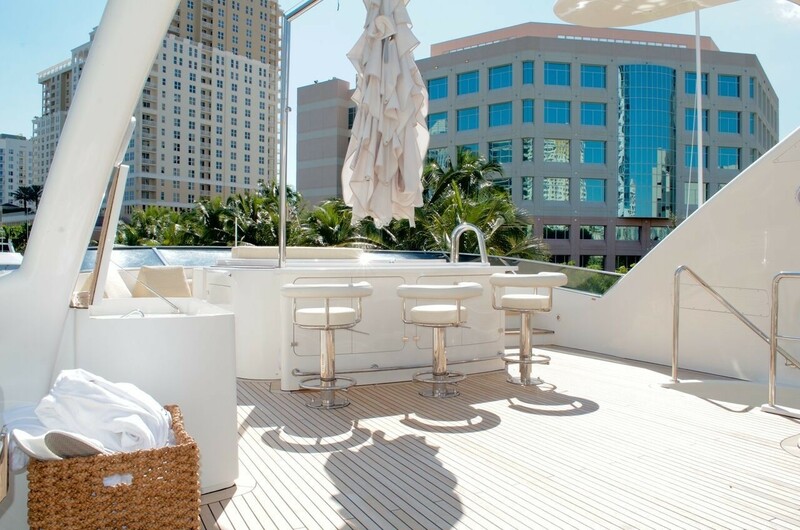 A bar is placed beneath the shaded hardtop and to the rear, there is plenty of room for sun loungers and seating for the whole group. 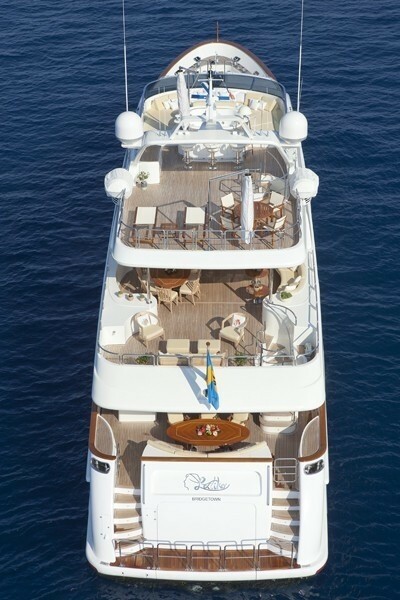 The lower deck contains a large tender garage towards the stern with plenty of room for vehicles and water toys. 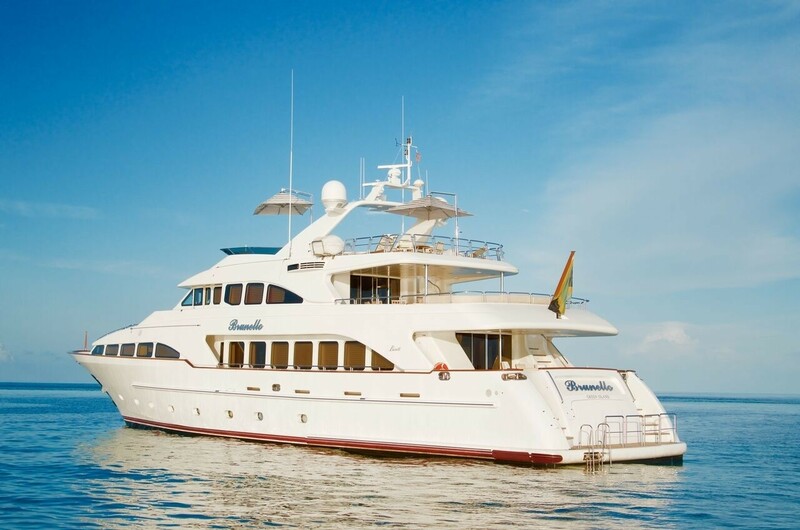 Forward is the engine room and amidships is the guest accommodation, where there are two twin cabins with additional berths, plus a full-beam VIP stateroom. 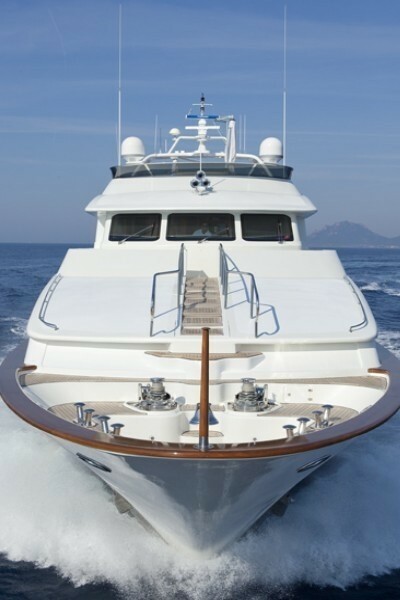 The crew accommodation is placed within the stern. 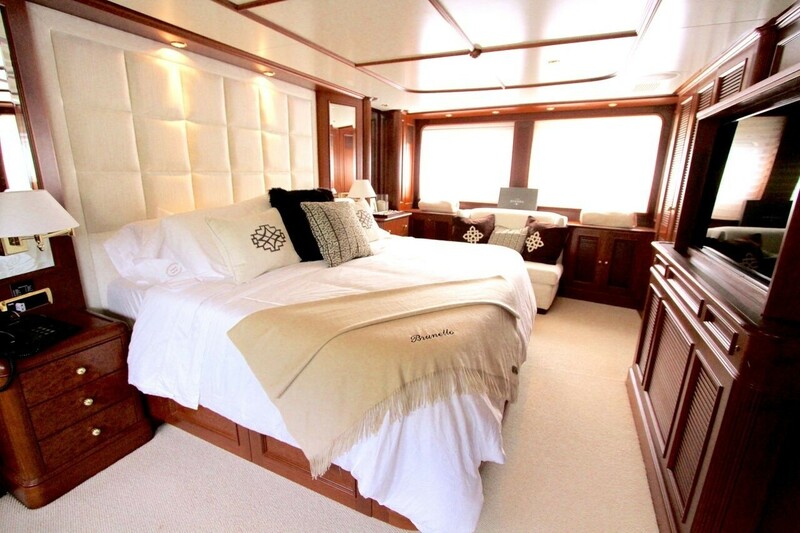 On the main deck, the full-beam Master suite is situated forward and benefits include a spacious en-suite bathroom with tub, plus a walk-in wardrobe separating the Master suite from the main foyer. 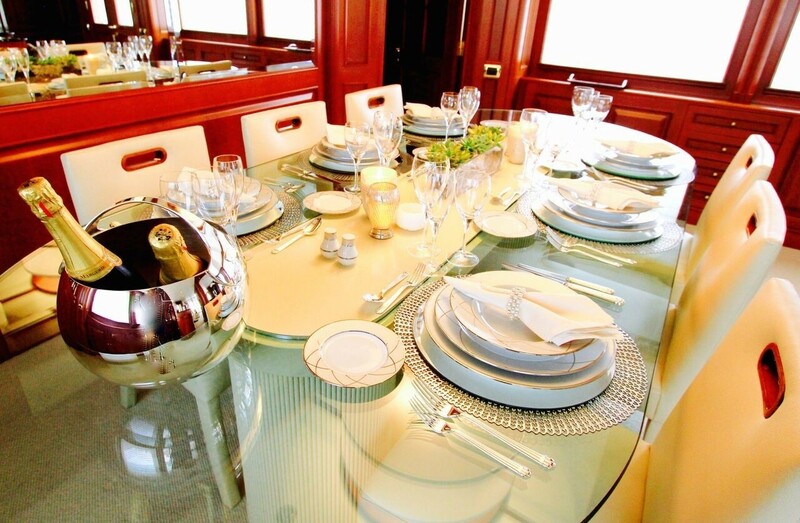 The formal dining area to the aft creates a lavish atmosphere for celebrating a special occasion. 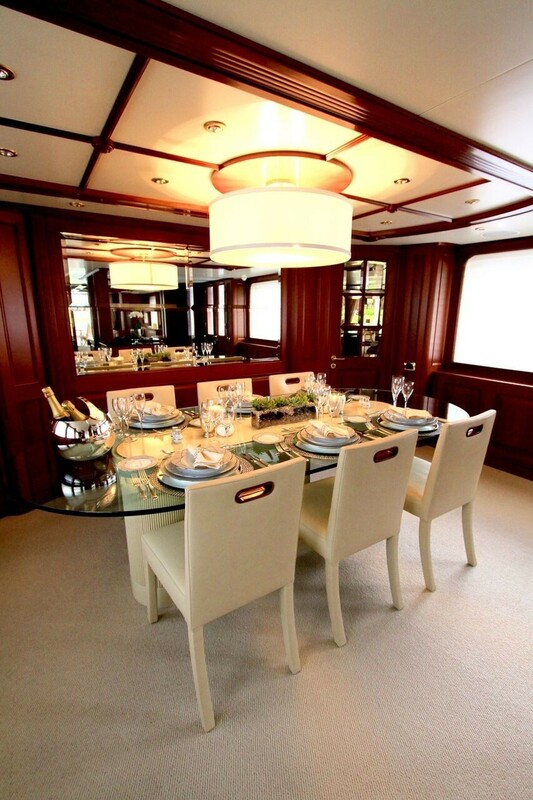 The main salon contains two sofas and armchairs arranged for conversation around a coffee table, and this area is separated from the formal dining area by a bar and staircase to the lower deck. 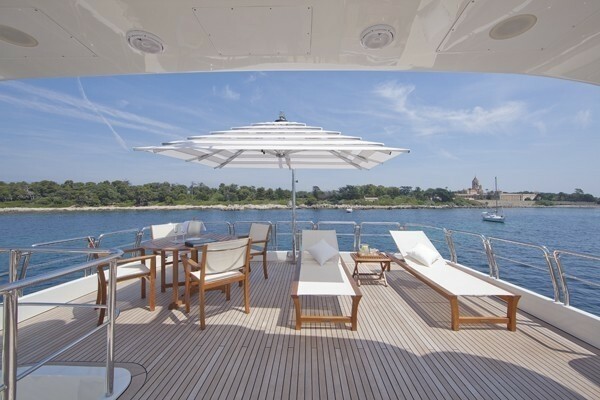 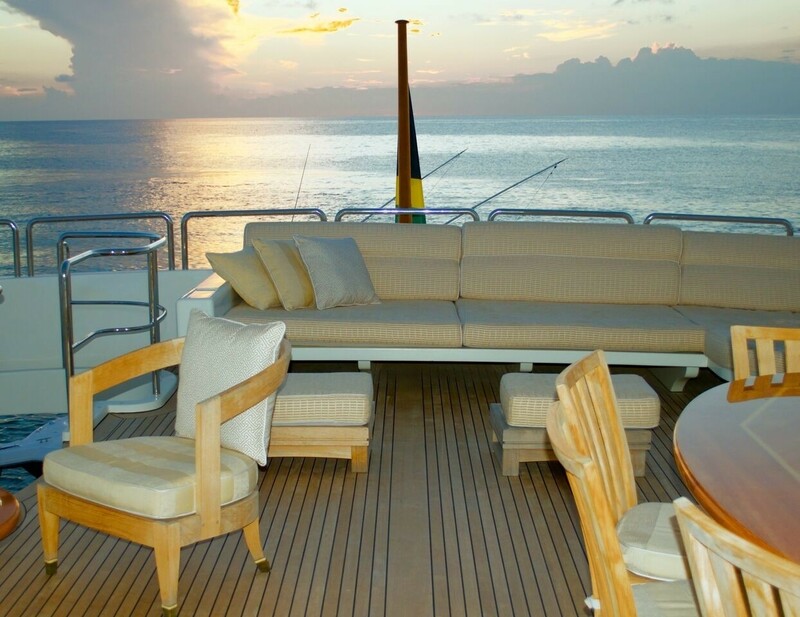 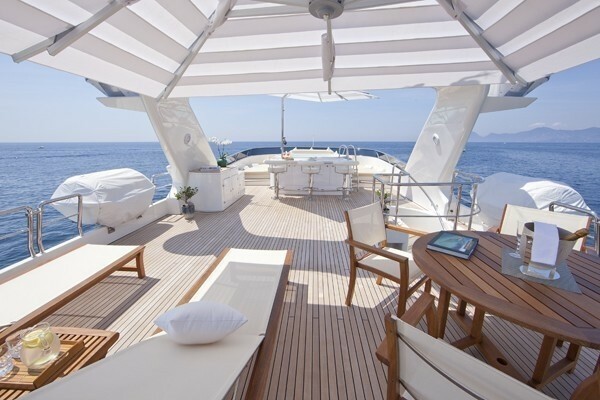 Aft of the helm station on the upper deck is the sky lounge which has everything for a laid-back afternoon or a night of entertaining: The bar is positioned forward with a larger sitting arrangement beside the port windows while the starboard side has a drinks table. 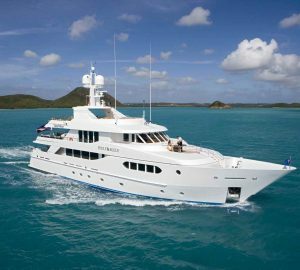 Two Caterpillar 12v 3412E engines produce a top speed of 16 knots, a cruising speed of 14 knots and a range of 3,200 nautical miles. 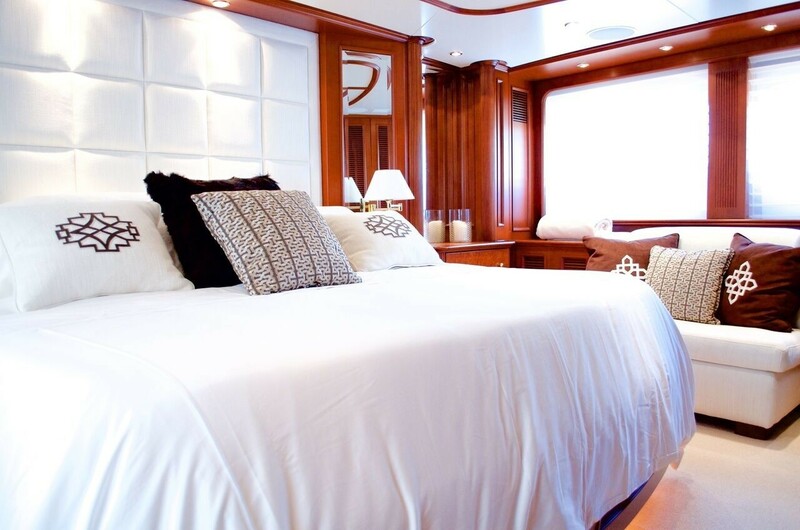 The accommodation sleeps a maximum of 9 guests over 4 en-suite cabins: 1 Master suite, 1 VIP stateroom and 2 twin cabins each with an additional bunk. 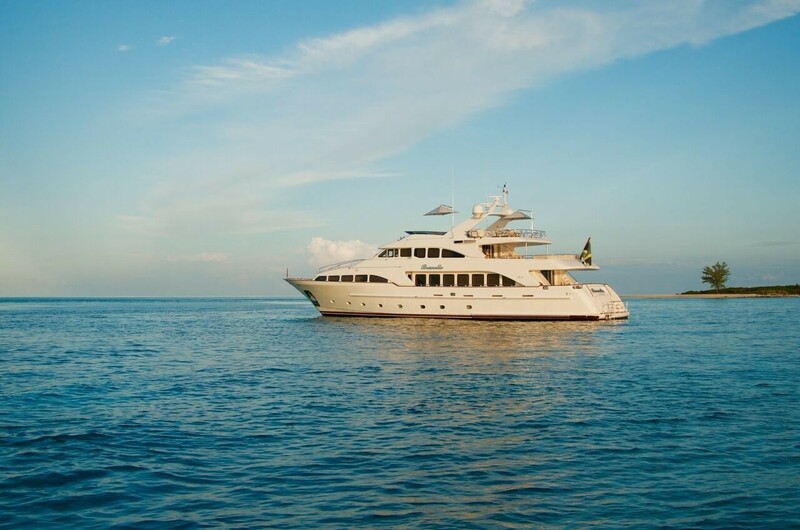 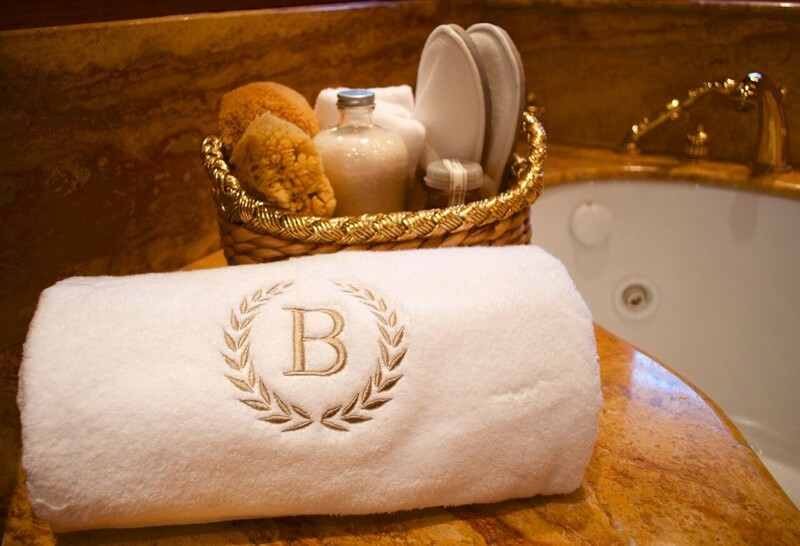 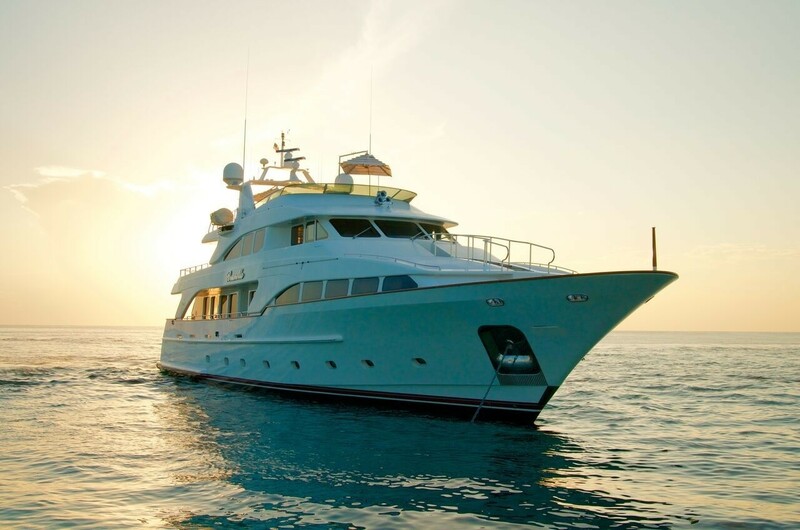 The crew of 6 will provide everything guests require for a relaxing cruise experience. 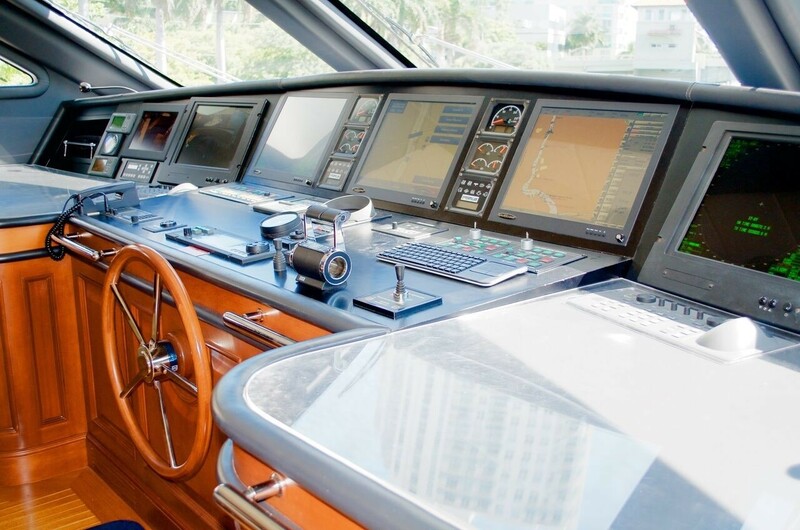 Working for major figures such as Adman Khashoggi or André Paccard, king of Morocco’s architect and decorator, François Zuretti developed an unique sense of design and aesthetic which are making him as one of the most sought-after designer in the world.